A. V. B. Norman: An Unpublished Fourteenth Century Alabaster Fragment. 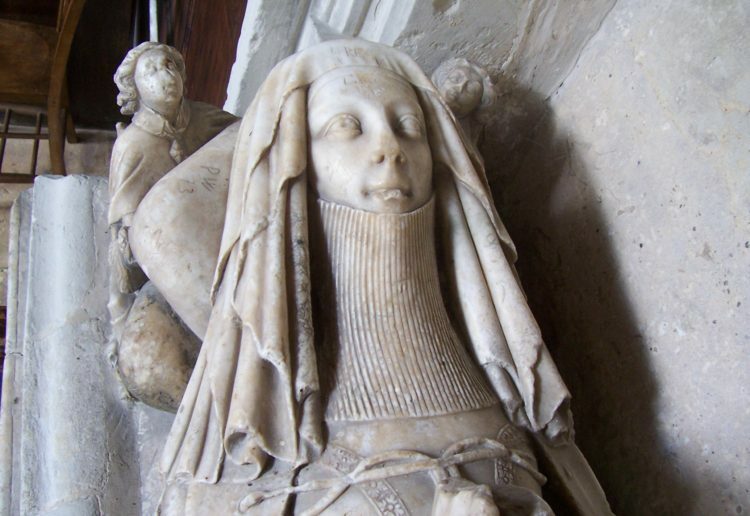 Leslie Southwick: The Armoured Effigy of Prince John of Eltham in Westminster Abbey and Some Closely Related Military Monuments. Terry Friedman: Nost at Bothwell. Discusses Nost’s monument to 2nd Duke of Queensbury at Durisdeer church, Dumfriesshire c.1695-1711 and that of 3rd Duke of Hamilton by James Smith at Bothwell, Lanarkshire 1694-1702. Though Nost’s original design for the Hamilton monument was rejected as too expensive, the author suggests he was responsible for certain features of the completed monument. Sally F. Badham: Richard Gough and the Flowering of Romantic Antiquarianism. Gough and his circle were the first to study monuments as works of art. The author examines Gough’s career and work at Society of Antiquaries. Discusses background collaboration with fellow antiquaries in evidence gathering for his Sepulchral monuments which is described and evaluated. Describes divergent views among antiquaries in late 18C and tells of Gough’s disagreement with and departure from Society of Antiquaries in 1797. The tombs of Henry IV and Black Prince at Canterbury were in poor condition in 1844 – Richard Westmacott was asked to investigate – £1600 the estimated cost of restoration. Scott reported on state of Westminster royal effigies – to repair, restore or replace? King John’s effigy at Worcester was gilded – this was later decided to be a mistake. Recounts the arguments at Gloucester between Cathedral architect and Office of Works over quality of work on tomb of Edward II. Gives a history of State payment for repair of monuments prior to Ancient Monuments Act. Records the history of a proposed monumental tablet to Canon Henry Riddell Moody d.1873 at Chartham Kent designed by his architect son Francis to complement the Burgey tablet of 1596 in the chancel. The new rector objected to its proposed position and design. He was supported by the Archbishop of Canterbury. 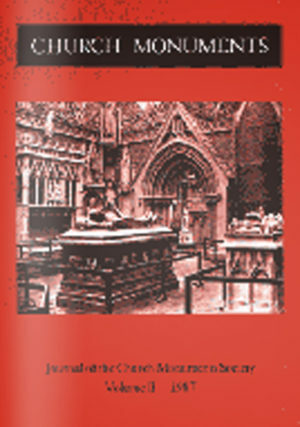 The article traces the resulting case through its hearing at Lambeth revealing the underlying proposed Gothic Revival restoration of the chancel.